40LPI Lenses with 49° Viewing Angle and .033" Thickness. 60LPI Lenses with 35° Viewing Angle and .028" Thickness. SuperFlip! software and digital instructions available for free download. Superflip! is a PC based software that can run on Windows XP-Windows 10. SuperFlip! 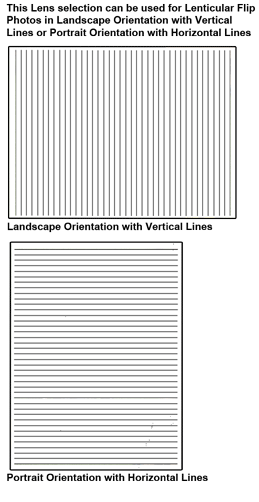 is compatible with VueThru 40LPI and 60LPI Lenticular Lenses. SuperFlip! will not work with Chinese Lenticular Lens. 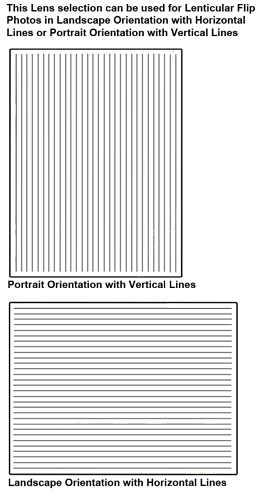 Flip 2X3 (5X8 cm) 40 or 60 LPI Lenticular Lens with Adhesive. Lines - Short Side. 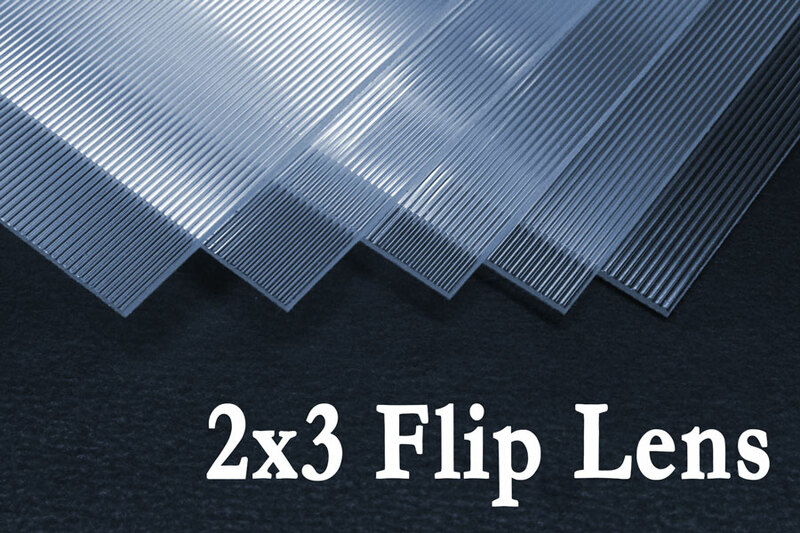 Flip 2X3 (5X8 cm) 40 or 60 LPI Lenticular Lens with Adhesive. Lines - Long Side.